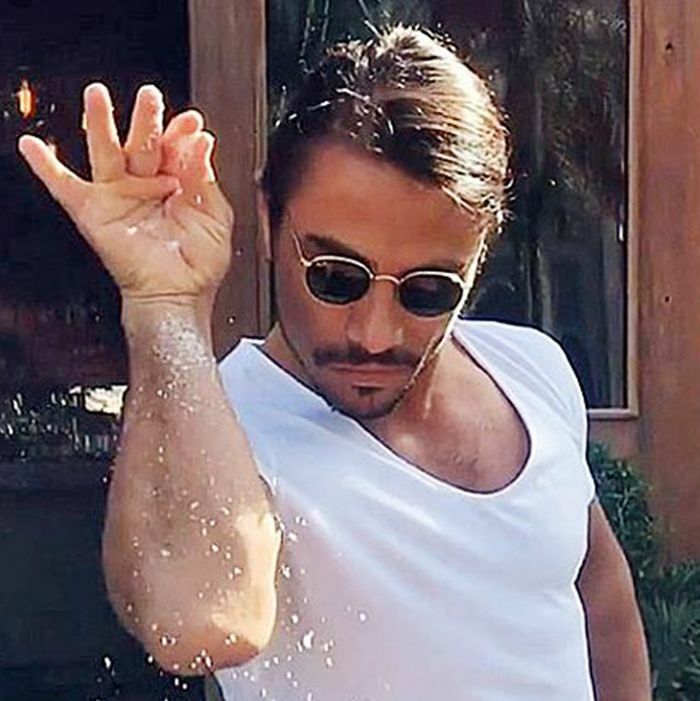 Social-media sensation and chef Nusret Gökçe, also known as Salt Bae, now finds himself on the negative side of virality a few days after sharing videos on Twitter and Instagram of himself serving dinner to embattled Venezuelan president Nicolás Maduro at his steakhouse in Istanbul. Now, 6,000 miles away from the site of the meal in question, Venezuelans living in the U.S. are protesting outside Gökçe’s steakhouse in Miami. Bloomberg reports that dozens gathered outside the city’s Nusr-Et Steakhouse yesterday with Venezuelan flags, shouting “accomplice” and singing the Venezuelan national anthem as diners entered the restaurant. Venezuela is currently in the midst of a years-long crisis, which began under former president Hugo Chávez and took hold shortly after Maduro’s election in 2013. Under Maduro’s leadership, inflation rates have hit more than 900 percent, making it nearly impossible for Venezuelans to afford even basic foods and medicines.